Are you looking to install a roof for your newly-opened commercial structure? Is your existing roof unable to provide adequate protection during extreme weather? Are you confused with the selection of commercial roofing in Fort Worth, TX? If you are dealing with any of the above predicaments, then you certainly require the services of professionals who can advise you properly about the roofing materials or coatings that will suit your commercial structure the best. The following roofs provide a range of advantages including environment-friendliness, energy-efficiency, reliability, durability, cheaper costs, and other valuable factors. Single-ply Membrane Roofing remains one of the most popular commercial roofing. It is suitable for all types of commercial structures and is considered a reliable option for manufacturing and industrial structures. Single-ply roofing entails sheets that are made with synthetic compounds, which help to secure your commercial structure. 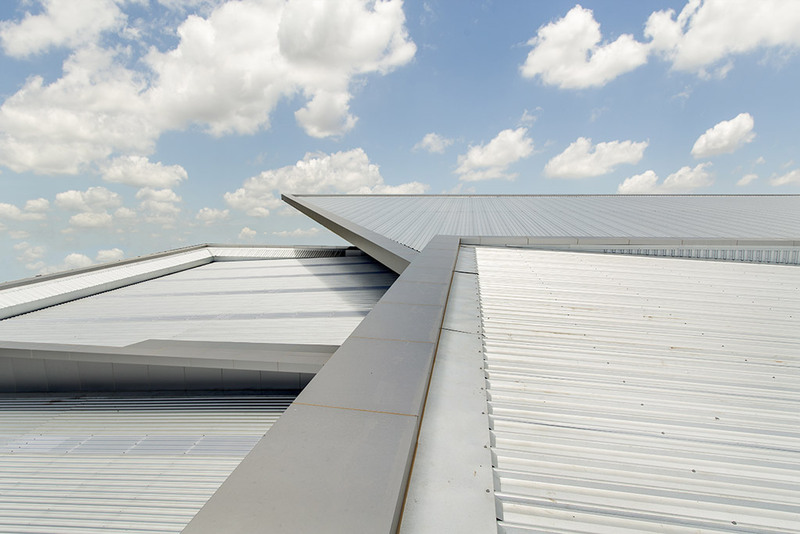 Experts from commercial roofing in Fort Worth, TX, believe that single-ply roofing can go on to support a commercial facility for more than 29 years. Since this roofing has existed in the industry for quite a long time, proper studies and research have been carried out regarding its durability and effectiveness. So far, the results have had a positive track record, which basically means that you do not need to worry about your commercial structure’s protection with an unreliable foreign agent. Studies have also shown it to create a strong opposition to flammable elements. Thus, if you are looking for commercial roofing in Fort Worth, TX, that can provide durability and safety for your business, then single-ply can be a wise solution. Metal Roofing is one the earliest roofing types in the market. Metal roofing utilizes aluminum, steel, and other types of materials. The material used in this roofing is not considered heavy in comparison with other roofing materials and hence experts for commercial roofing in Fort Worth, TX, often put it on the top of another roof. The pricing in this roofing varies according to the type of metal panels used in the roofing. Metal roofs are expected to remain intact for more than 39 years. This roof comes with a wide variety of styles and thus can enhance the look of a commercial structure. Moreover, professionals of commercial roofing in Fort Worth, TX, have found it to be an excellent fighter in rainstorms and hailstorms. Therefore, if your facility is located in a place that is continuously hit upon by storms, then a metal roof is one of the best options available. Does your organization comply with the environment-friendly practices? Then perhaps you should opt for a Spray Polyurethane Foam roofing for commercial roofing in Fort Worth, TX. This roofing has earned its name because of a liquid that creates foam when it is applied. The foam created adds a protective layer to the existing roof. This roofing strategy has been around since the 1950s, and it has been used extensively in the preservation of various American residential, commercial, and manufacturing facilities. The roofing is resistant to different types of climates and is very durable (it can last for half a century).Despite the technology’s age, it is energy-efficient, which means that it provides value for each inch. Additionally, due to its stability, the need for continuous seams or joints, that is prevalent in other roofs, is reduced to a bare minimum. Built-Up roofs have been protecting American facilities for a century. These roofs require layers that contain fabrics like tar, asphalt, and others, which are then ballasted into the roofs. The amount of layers can be decided after consulting a professional for commercial roofing in Fort Worth, TX. A layer of gravel or stone serves as the finishing layer for a built-up roof. Built-up roofing is considered by experts as an intuitive solution for protection against ultra-violet radiation. Moreover, if you struggle with maintenance problems that exist with different kind of roofs, then built-up roofing is especially an attractive option as it requires low maintenance. Are you looking for a cost-effective solution for your commercial roofs? Elastomeric roofs are one of the most affordable solutions that can help to repair the frequent leaks in your roofs. Depending on the weather, such roofs contract and expand. This is a flexible option for commercial roofing in Fort Worth, TX. The roofing material usually consists of polymeric products, which are vital for the provision of reflexivity and opaqueness in the roofs. The added reflexivity helps to decrease the cooling costs. Due to its adaptability, the roof can be used in combination with other roofs including the above-mentioned roofs—built-up, metal and polyurethane foam roofs— as well as other roofs like modified bitumen and concrete roofs. These coatings also offer an excellent fighting option against the mold and other fungi that not only harm the structural foundations of a commercial structure but also pose health risks. All of the above-mentioned roofing consists of durable and reliable materials that can protect your roofs for years as well as decrease various costs in bills and repairs. A rightly chosen and properly installed roof can serve for decades with minimum costs. However, in the case of a wrong choice or flawed execution in the installation, the resulting costs and expenses can make up for huge costs. Thus, it is important to select the right service. Fortunately, you have Longhorn Commercial Roofing at your service. Longhorn focuses on providing flawless customer service and roofs that can last for years without any problems or leaks. With our guidance, you will be able to gain the highest return on your investment. For more details contact us and we will inspect your commercial structure and provide you with the best suggestions.